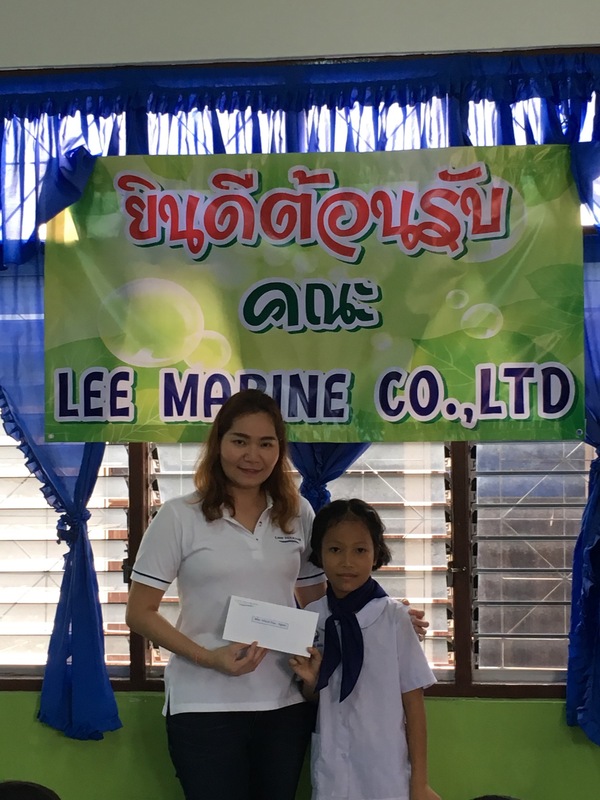 For the past two years, a very lucky, little, local girl has been receiving support from Lee Marine for her education. 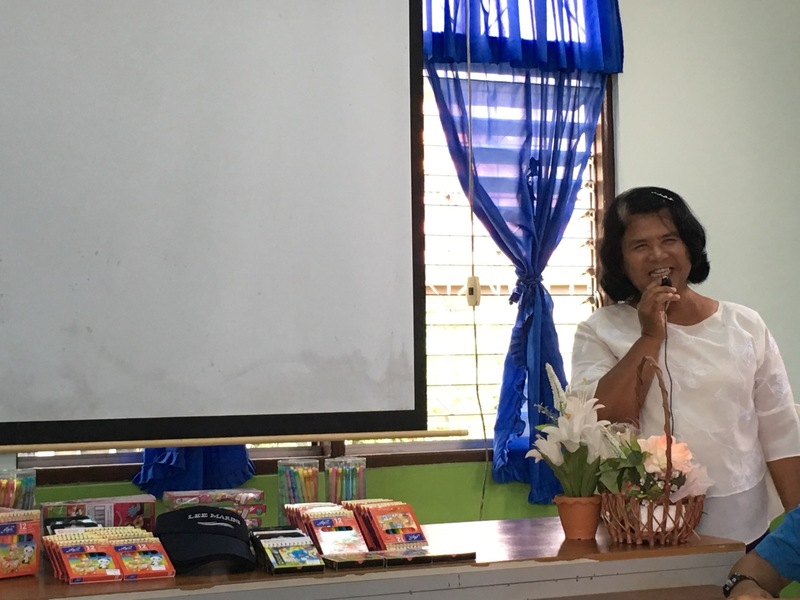 Nong Mint, who is now studying in Grade 3, at Srithsoonthorn Banrung School, continues to flourish. 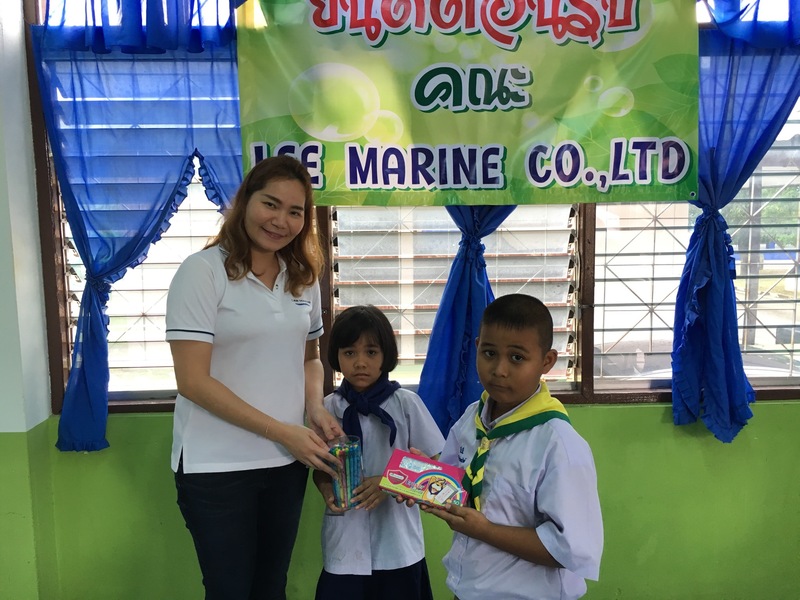 The nine year old is a clever child earning top rank in her class last year – Grade Two. 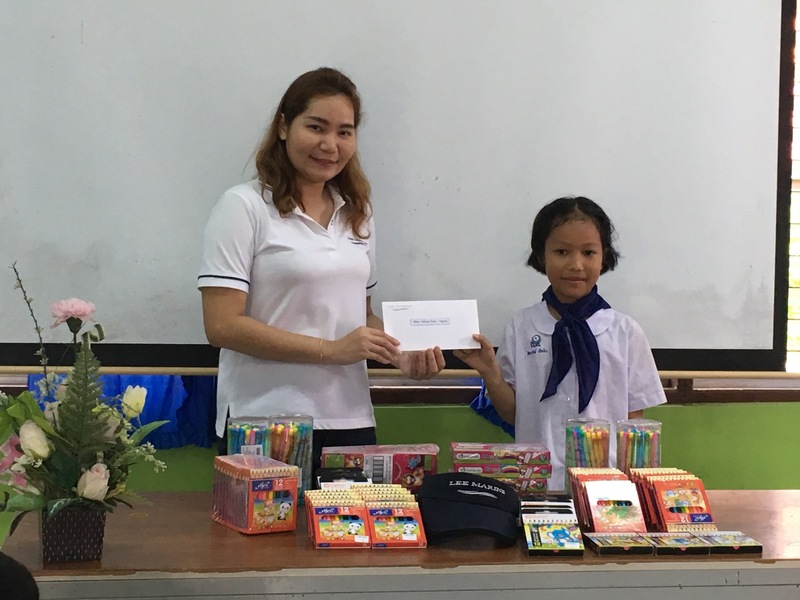 In addition, Nong Mint scored highest in the Handwriting competition. Her studies and activities show that she is polite, patient and well mannered, according to her teachers. 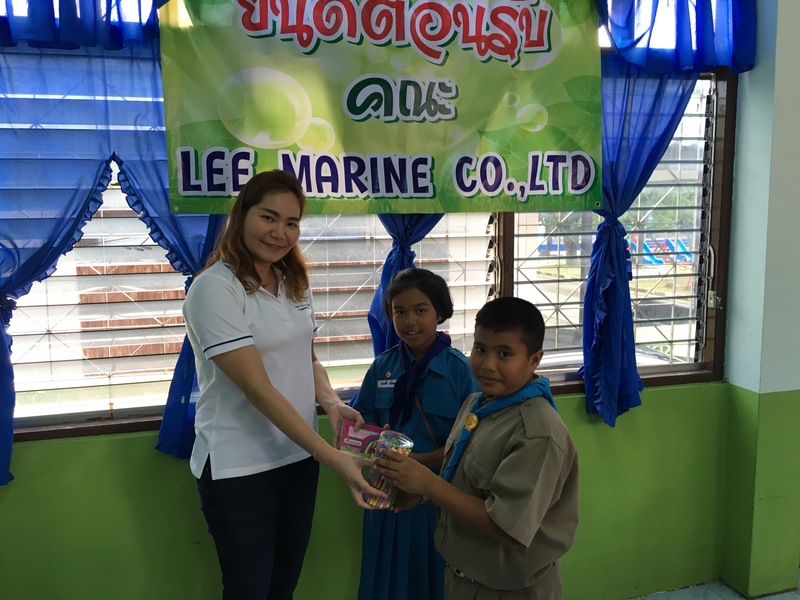 Along with Nong Mint’s cash donation, Lee Marine team visited the school recently bearing gifts for all the students from Kindergarten – Grade 6 level. 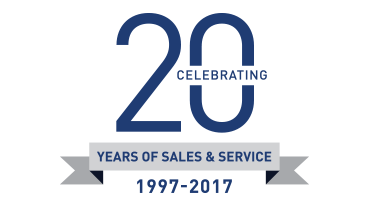 The coloured pencils, erasers and stationary made them very happy. 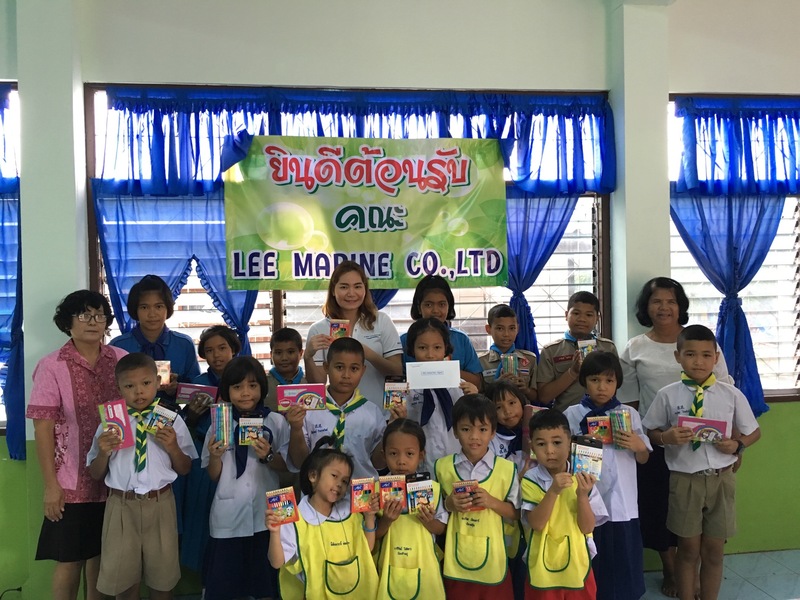 The Head Teacher joined all the Staff and Nong Mint in saying, “THANK YOU for your kindness,” to Lee Marine.